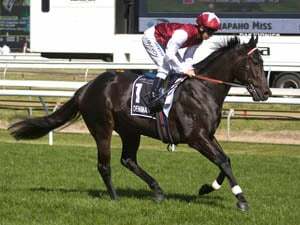 Waikato Stud’s champion stallion Savabeel sired his 84th stakes winner on Saturday when the Murray Baker and Andrew Forsman-trained mare Love Affair won the G3 Eagle Technology Stakes at Ellerslie. The classy 5YO Love Affair (Savabeel x Romancing by O'Reilly) capped a royal day for Waikato Stud with a wins across Australasia by stud products. Love Affair was among four Ellerslie winners for the Matamata farm after victories by Pink Graffiti (Ocean Park), Probabeel (Savabeel) and O’He Can (O’Reilly) while in Melbourne the Pins mare My Pendant continued her progress with success at Moonee Valley. Love Affair and Pink Graffiti race in the Waikato colours while My Pendant is part-owned by Mark Chittick, son of stud principal Garry Chittick. Love Affair was the star of the show when she added that vital black type credit to her record. She is out of Romancing, an unraced daughter of O’Reilly and a sister to the Listed winner Salsa and half-sister to the G3 Hawkesbury Gold Cup winner Somepin Anypin (Pins). Her family includes the G1 winner Sylvaner (Centaine). Savabeel has 71 lots catalogued at the Book 1 of the National Yearling Sale in Karaka including an Ocean Park half sister to Love Affair. Pink Graffiti is a valuable half-sister to the dual G1 winners Glamour Puss (Tale Of The Cat) and Vision And Power (Carnegie). 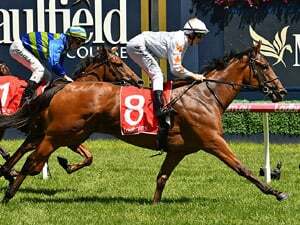 * My Pendant (Pins x My Locket by Any Suggestion) backed up a maiden city win at Sandown with another fast finishing victory at Moonee Valley. Waikato Stud’s Mark Chittick shares in her ownership after selling the filly for $100,000 to bloodstock agent Phil Cataldo at the 2017 New Zealand Bloodstock Karaka sales. Waikato Stud will offer her half-brother by Ocean Park at the 2019 edition of the sale. * The Savabeel 2YO Probabeel all but won her way into January’s Karaka Million with her win at Ellerslie. Trained by Jamie Richards and bred by Garry Chittick, Probabeel was purchased for $380,000 by Te Akau Racing’s David Ellis from the Waikato Stud draft during Book 1 at the 2018 NZB National Yearling Sale. She is a daughter of the stakesplaced Pins mare Far Fetched from a family that includes dual G1 winner Savvy Coup (Savabeel) and multiple stakes winners Tootsie (Pins) and Legless Veuve (Pins). 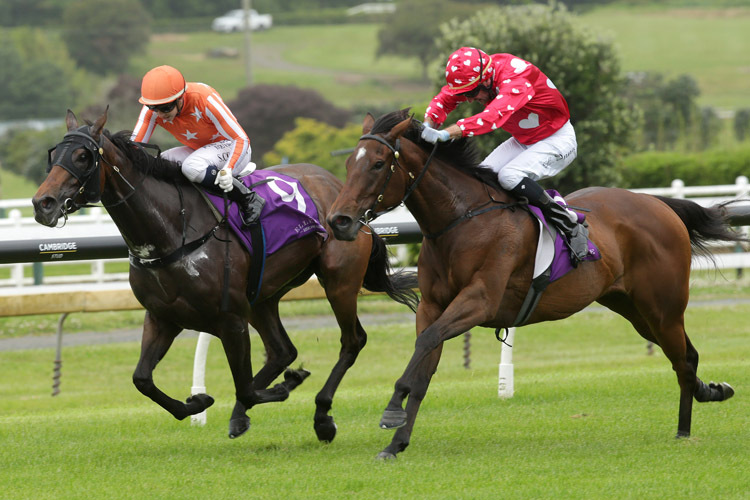 Probabeel was the first winner raced by Cambridge Stud’s Brendan and Jo Lindsay in conjunction with Te Akau Racing. The victory continues a winning run with two-year-olds for the new Cambridge Stud proprietors as they also race brilliant Snitzel filly Bavella. 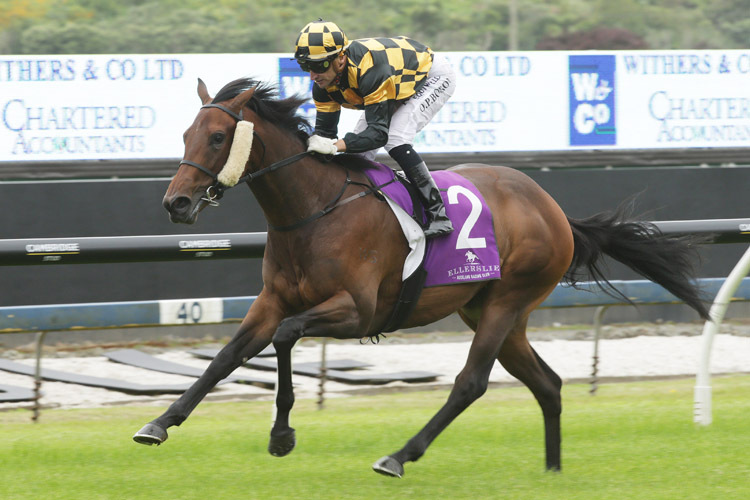 The Lance Noble-trained Bavella is unbeaten in two runs following her Listed success at Pukekohe the previous week. 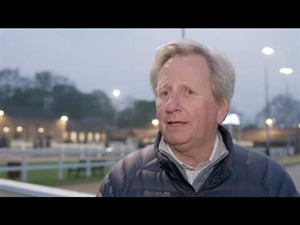 * The late High Chaparral left his 125th stakes winner when the 3YO filly Espresso Martini won the Listed Trevor Eagle Memorial Stakes at Ellerslie. Espresso Martini (High Chaparral x Keepa Cruisin by Keeper) is another black type winner for the Murray Bakler/Andrew Forsman team with this being her second win in four starts. “She has come a long way from winning a New Plymouth maiden in a short period of time,” said Forsman. Espresso Martini holds a nomination for the G1 Levin Classic (1600m) at Trentham on January 12, a race won by her dam Keepa Crusin in 2007. Espresso Martini was purchased for $150,000 by agent James Harron on behalf of Australian owners Donna and Rob Love from The Oaks Stud’s 2017 New Zealand Bloodstock Premier Yearling Sale draft. The Loves have raced G1 winners Shamal Wind (Dubawi) and Capitalist (Written Tycoon). Espresso Martini is the third winner out of Keepa Cruisin, a half-sister to seven-time G1 winner Seachange (Cape Cross). 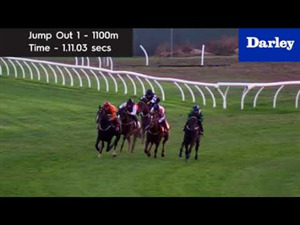 Keepa Cruisin also won the G3 Desert Gold Stakes and ran second in the G1 NZ 1000 Guineas. * Karaka graduate Gift Of Power made a brilliant return to top form with an all-the-way win in Friday’s Listed Levin Stakes at Otaki. The $180,000 Premier Sale purchase has now won nine races and more than $260,000 in prize-money, headed by earlier black type victories in the Listed Wellesley Stakes and G2 Wakefield Challenge Stakes as a two-year-old. 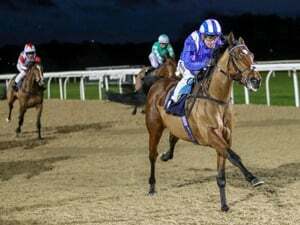 Ten months and six starts had passed since her previous win. Cambridge Stud will offer a Tavistock half-brother to Gift Of Power (Power x Capital Diamond) in the Karaka Book 1 Sale in January.